If you start with these Easy Biscotti Recipes, making biscotti will be less intimidating and the whole process will be demystified. The first time I worked up the courage to make some, I discovered that there is no mystery to biscotti. It's easy to make, even on your first try. It is just different then making the cookies we are use to. Instead of forming cookies you slice a loaf, instead of putting cookies on the rack to cool, you put the Biscotti in the oven to crisp. I will show you how, and once you know how, you'll be able to bake better biscotti than what you usually find in coffee shops. All it takes is a little time and the right recipe. The dough in these Easy Biscotti Recipes is easier to work with because they avoid the one aspect of biscotti making that can cause difficulty, and that is adding to much "stuff". Many recipes call for 2-3 additions of : nuts, dried fruit, chocolate chunks, and so forth. 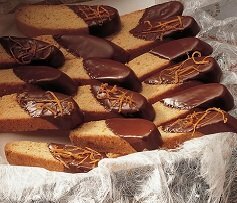 But those tasty and attractive looking add-ins make it harder to shape the logs, and even harder to cut the biscotti into nice, even, perfect looking slices. You can, of course, stir in whatever extras you like. Just remember that I warned you. Some of the recipes contain nuts or chocolate, but you will chop them first so that they will be easier to cut. Many of the recipes cake mixes, which means there are fewer ingredients and less measuring to be done. 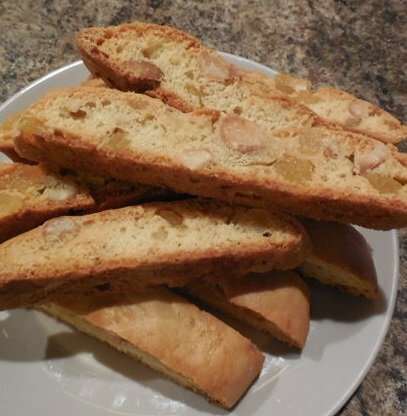 Before I share my Easy Biscotti recipes for the Best Biscotti around, let’s review a few tips and tricks that will make baking your Biscotti even easier. to make with an electric stand mixer because the dough is so sturdy. Hand held mixers often don't have the power to mix the thick, sticky biscotti dough. 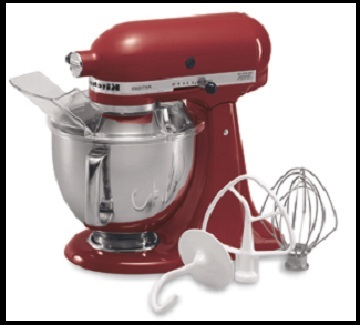 For tips on use a stand mixer and converting recipes click here. Line your baking sheets with parchment paper or a silicone mat, which will help to bake the cookies more evenly and make cleanup much easier. 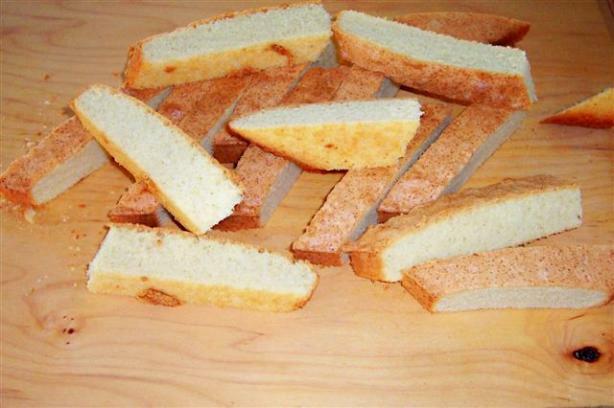 More biscotti making and baking tips. 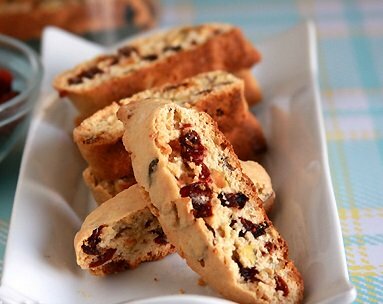 So, go ahead and pour yourself a cup of coffee, your favorite tea or glass of wine, sit back, get comfortable, and enjoy browsing through this collection of Biscotti Recipes. You'll have fun trying and sharing these recipes with family and friends and soon everyone will be amazed at your biscotti baking skills.